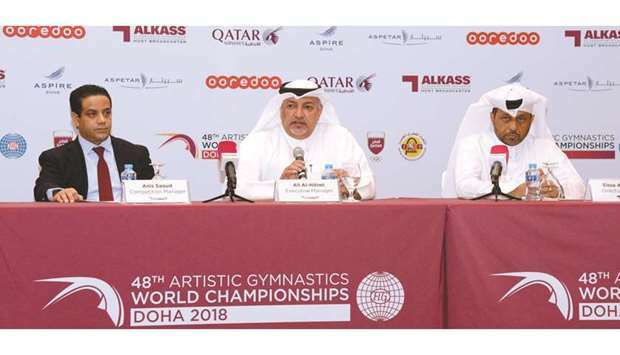 The Qatar Gymnastics Federation (QGF) President Ali al-Hitmi is optimistic that Qatar gymnasts will immensely benefit from participating in this month’s World Artistic Gymnastics Championships in Doha. Three gymnasts – Ahmed Nabil, Ahmed al-Dayani and Jana al-Kiki – will represent Qatar at the October 25-November 3 event, which will be held at Aspire Dome. While Qatar gymnasts have shown improvements over the years, they still lag behind the best in the business. And they will have no better opportunity to learn from the Olympic and world champions, who have started descending in Doha for the marquee event. Al-Hitmi felt the high level of competition will make it difficult for inexperienced Qatar gymnasts to step on the podium. The QGF President said he was not putting pressure of expectations on them. “It is a very tough competition as only eight gymnasts will qualify for the final from a lengthy and star-studded line-up in every event,” the al-Hitmi said on the sidelines of a sponsorship signing ceremony yesterday. “We will only expect from our gymnasts to give their best and avoid mistakes. These three gymnasts will have to show the world where the level of Qatar gymnastics has reached. We cannot put pressure on our (budding) gymnasts because it’s a very tough challenge,” he added. Al-Hitmi, who is also the Executive Director of the World Championships, believes the Doha Worlds will leave a positive impact to Qatar gymnastics scene and inspire kids to take up the sport. “Yes, it can be a breakthrough for our gymnasts. This event will benefit them, and it will also help Qatar gymnastics in many ways. It will motivate our gymnasts when they will compete alongside the likes of Simona Biles and Kohei Uchimura. Competing at this level will definitely improve their game and boost their confidence. The event will also attract young kids to this sport which will be a huge boost for Qatar gymnastics. We are optimistic that we will reach these goals,” al-Hitmi said. He stressed that the young Qatari gymnasts have the qualities to shine in major events in the coming years. “With more support and experience, Qatari gymnasts have the potential to become medal winners in major championships just like out track and field stars,” he noted. Last month, Qatar coach Razvan Selariu had exuded confidence of his gymnast’s performance. “We’ve been training hard and everything has been going in the right direction. The gymnasts are in top shape and everybody is ready to give their best,” Razvan said. The Romanian, who guided the Qatar team at the recently-held Asian Games in Jakarta, Indonesia, added that his team’s target will be to reach the final of at least one apparatus. “The championships will be tough considering the presence of top gymnasts, but we believe we can at least reach the pommel horse final going by the current form of al-Dayani. And anything can happen from there,” said the 34-year-old. Al-Hitmi said his team is ready to host the event, having had experience over the years of hosting the annual World Cup Challenge in Doha. “It is a new challenge for us. We are working as a team since a long time to make this happen. 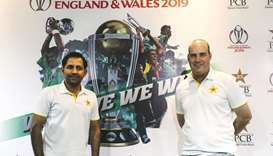 We are looking to make it as the best World Championships ever and want to show the world how successful we can be in hosting big events,” he said. Qatar will become the first Arab and third Asian nation to host the Worlds after Japan (1995 & 2011) and China (1999 & 2014). A total of 78 countries with over 600 gymnasts have confirmed their participation. Competitions will be in 14 disciplines (eight for men and six for women) which will be held at the Aspire Dome. 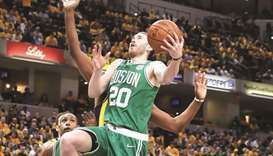 The tournament will be significant for the participating countries as medals won from the Team finals will earn them an entry to the 2020 Olympic Games in Tokyo. China, Chinese Taipei, Brazil and Japan teams have already arrived in Doha and have started their training sessions at the Aspire Dome. Meanwhile, the Organising Committee yesterday signed agreements with a host of local sponsors. “We’re happy to partner with our local sponsors to deliver what is expected to be the best in the championships history. The support has been very tremendous. We look forward to a successful event,” said al-Hitmi said. The 10-day event is sponsored by Aspire Zone, Aspetar, Qatar Airways, Ooredoo, Alkass TV, Qatar Tourism Authority, Woqod, The Look Company, Taishan and Teyseer Group. “With less than ten days to go for the region’s first-ever gymnastics worlds, we’re excited to be a part of history. 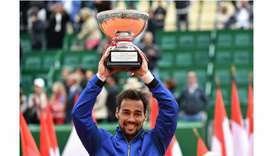 We are working round the clock to ensure that all arrangements are perfected before the Opening Ceremony,” he added.